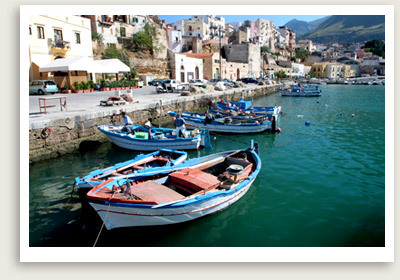 Touring: Tindari, Cefalu and wonderful roads overlooking the Ionian Sea and over the Eolie’s Islands. Includes: private transportation with English speaking driver/guide, parking, toll. 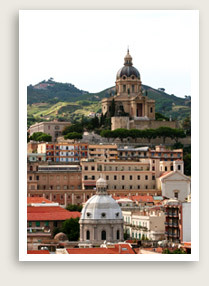 Departure Points of Private Tours: Taormina Catania, dock of Messina for shore excursions. Our first stop is Tindari, a Bronze Age settlement from about 1500 BC. The most important Greek city in this vicinity, Tindari suffered from a landslide at the end of the First Century AD and an earthquake in 365 AD. Most of what the visitor sees today was constructed during the Roman period. Your private tour will then take you to Cefalù, a charming village with winding, medieval streets and delightful restaurants overlooking the rocky coast. It is dominated by a huge rock known as La Rocca, once the site of a Temple of Diane and one of the finest Norman-Arab-Byzantine Cathedrals.